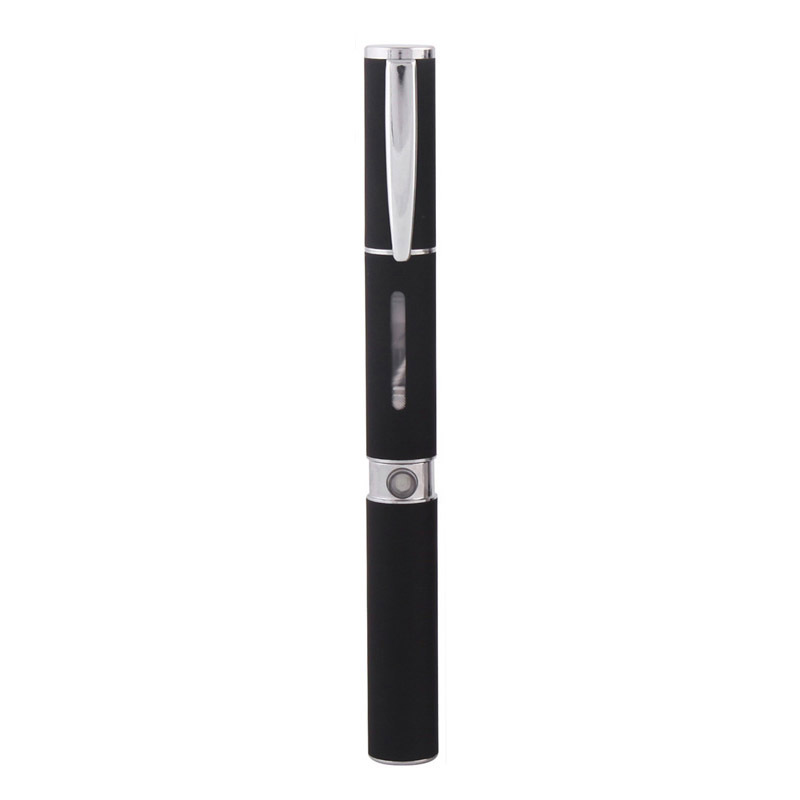 Our F1 series e-cigarette is a fantastic purchase for those who desire a more discreet vaping. Our F1 series e-cigarette is a fantastic purchase for those who desire a more discreet effect to their vaping. It is of a modern and sleek design and is ideal for impressing your colleagues or friends by adding a touch of modern subtlety to your vape. 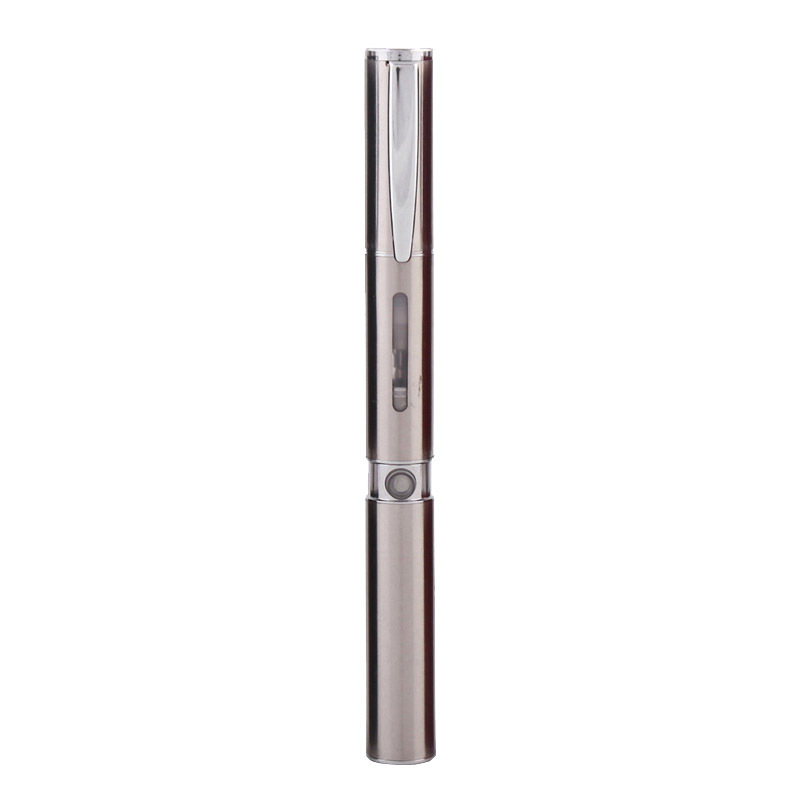 The F1 e-cigarette has a similar look to that of a pen as it comes with a screw-on top which has a chrome attachment that enables you to pin it on your shirt or inside the pocket of a bag perhaps. This also enables you to keep your e-cigarette constantly upright which refrains any liquid from moving around inside. Another major benefit of the screw-on top is that you will never get any dust or dirt in your mouthpiece whilst it is in your pocket or bag. All NEW battery ventilation Feature. Holes at the bottom of the battery allow for air to escape more easily to aid safety. A Powerful 900mah 4.2 volt battery will allow for A LONGER usage time over any other like for like. A click on/off feature keeping the battery safe in your pocket/bag and preserves battery life. A Disposable EGO-W (F1) Clearomiser with larger capacity and more wick for better flavour/vapour ratio. Wash the Clearomiser only in warm water. The best way to clean the wicks is to fill the unit half way with warm water, put the top on and then shake vigorously. This method should be repeated 3-4 times until the colour of the wick is as close to white as possible. Leave to dry and re-use. This isn’t a definite science, but should allow for a few more days usage out of the Clearomiser, before it needs replacing. To fill the F1 Clearomiser unscrew the top and place to one side. Remove the black mouth tip, and locate the fill hole within. Hold the clearomiser upright, unsuring the needle of the bottle goes inside the hole and fill with approximately 1.6ml of liquid (along the side of the unit, avoiding the middle airhole). You can of course fill to 2ml, but at 1.6ml you will get the best balance between flavour, vapour and throat hit. Once filled, leave for approximately 3 minutes so that e-liquid saturates and absorbs into the wick. The CE4 is now ready for use. Once the atomiser head on your Clearomiser is burnt out, replace with a new atomiser head (This will be very obvious; the flavour will change, the wick will discolour and go either brown or black and the system will generally perform at a ‘’lacking’’ standard). Make sure you always have some spare Clearomisers, It’s always better having spares than none at all. 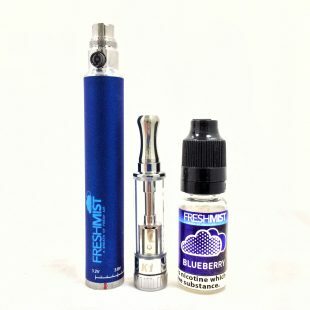 At FreshMist we recommend the following when purchasing an electronic cigarette. These products contain a battery and if not charged or handled correctly can be dangerous.  We have listed some very basic guidelines below that will make sure that you are 100% safe at all times. 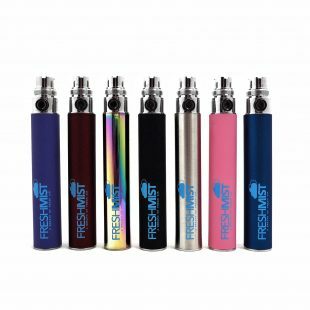 Replacement 900 mAh batteries in a range of colours! This is a perfect kit for all beginner to intermediate vapers.